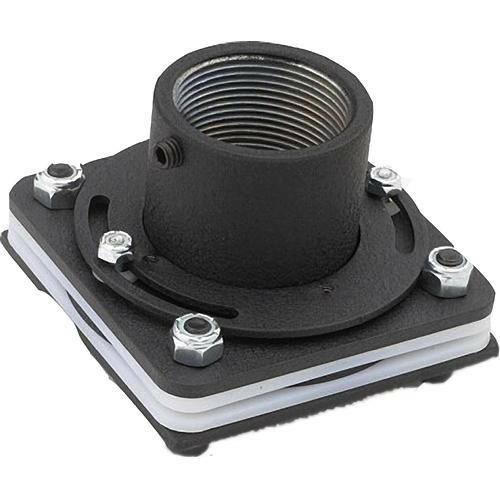 The Chief CMA-351 Heavy Duty Swivel Adapter with Stops allows smooth and safe axis rotation of 0-330°. This adapter is very easy to install, and is the best quick rotation solution for projecting on more than one wall. It attaches to 1 1/2" NPT threaded extension columns and allows cable access. Axis and swivel rotation can be set anywhere between 0-330°. This means that from one permanently mounted position you still have the flexibility to project on more than one wall. Box Dimensions (LxWxH) 7.3 x 7.3 x 5.7"